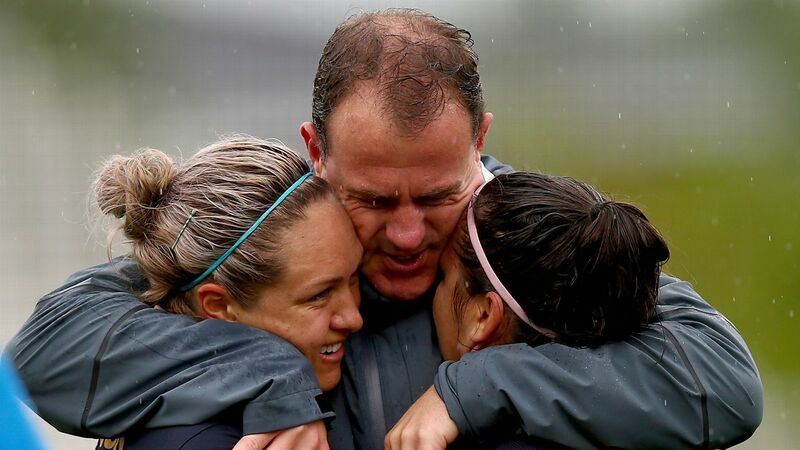 Matildas' head coach Alen Stajcic believes the Women's World Cup is one of the most open it has been with a number of teams having a good chance of winning the tournament. It's a phrase whose origin lies in Aesop's fables, but in modern parlance "killing the golden goose" refers to destroying something that is a reliable and valuable source of income. 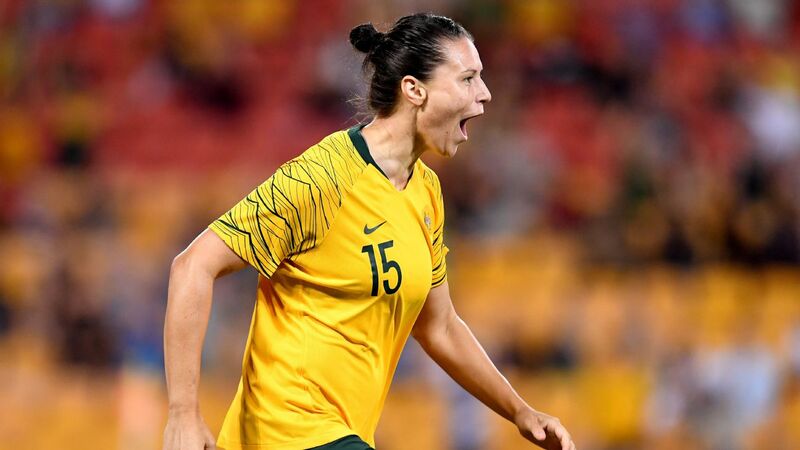 While the Matildas may not be the FFA's biggest income generator, they have certainly been the game's only reliable and valuable source of positive press, feel good publicity and crowd figures with an upward trajectory, in many a long month. On Saturday, that was all brought undone with one press conference, as the contract of Australia's national women's team coach Alen Stajcic was brought to an abrupt end. While sacking a head coach is not in itself a publicity disaster, alluding to a toxic culture and a bullying environment that has apparently been endemic within the national setup for long enough to make the situation untenable just before a major tournament has certainly shattered the illusion of utopia and left pertinent questions unanswered. Now, instead of talking about the team's prospects for the Women's World Cup in France in June this year, the press, the players and the public are now all wondering what was so drastically wrong that no one saw this coming. The much-vaunted inaugural Cup of Nations is just over a month away with the Korea Republic, Argentina and New Zealand set to take on the Matildas in Australia as part of their World Cup preparations. Current Football Ferns head coach Tom Sermanni knows a thing or two about Australian football, having coached the Matildas to their only major piece of international silverware, the Asian Cup in 2010. Sermanni also knows about having a coaching contract terminated without warning, dismissed as manager of the United States women's national team a year out from the 2015 World Cup. While the sacking in 2014 took him by surprise and no concrete reason was ever given, Sermanni caught up with ESPN in the wake of Stajcic's departure and said his process with the USWNT was fairly textbook, unlike what has occurred in Australia this week. "It was along the lines of: 'We aren't satisfied with how the program is going, so we are looking to proceed in a different direction,'" Sermanni said. "While that's never pleasant to hear, it doesn't leave room for speculation about your reputation. "I've known Staj a long time and I think if anything, he's mellowed in that period. "He's been in charge of the senior national team for more than four years now and in the system for much longer than that, so it seems strange that something would suddenly start happening now that hasn't been evident before this." 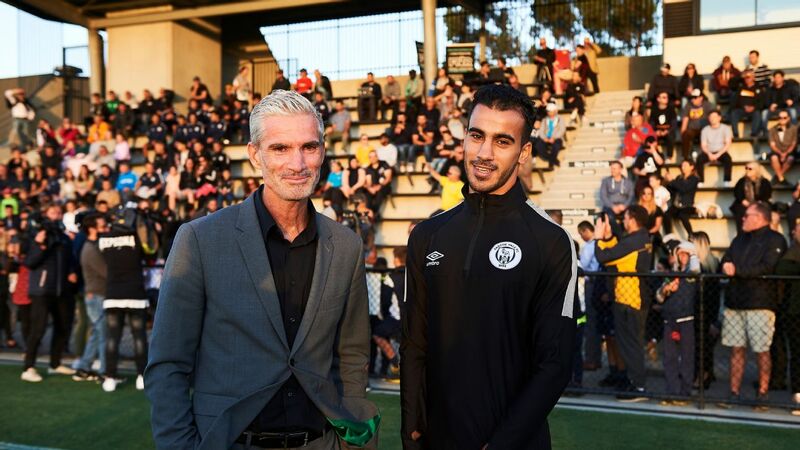 The role that Sermanni now fills with New Zealand was one that was left vacant after his predecessor resigned amid allegations of a toxic culture in the senior national team environment. What occurred in N.Z. though, was in fact the polar opposite of Stajcic's situation. In the case of Andreas Heraf, 13 members of the national team signed a letter saying they would not play under the Austrian-born coach, whom they accused of creating a culture of bullying and fear. Andy Martin, the CEO who appointed Heraf, also left in the mayhem around the situation and the side was left rudderless for almost six months as the inquiry dragged on. 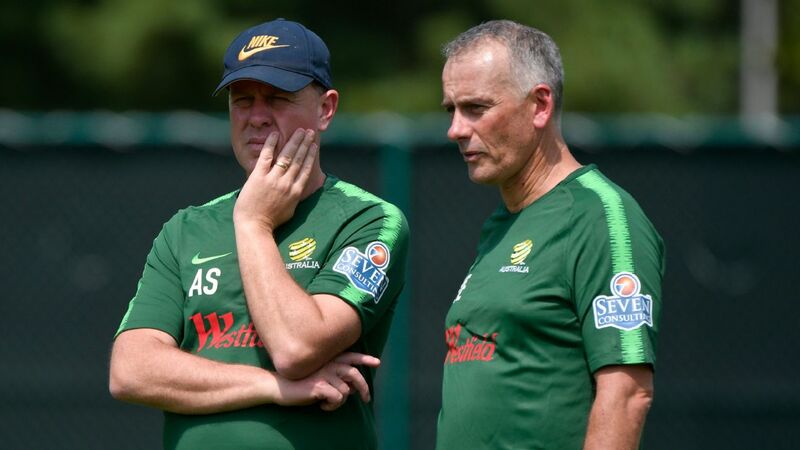 Alen Stajcic, left, has been removed as Matildas head coach just five months out from the Women's World Cup in France. In contrast, at least 16 of the current Matildas squad have publicly supported Stajcic, expressing shock at his termination on social media, indicating that he hasn't lost the trust of at least a large part of the playing group. It's also not as though the Matildas are a meek and mild group of women unable to speak their collective minds -- remember the pay dispute of 2015? The current concerns apparently arose from the results of two voluntary player surveys conducted by both the PFA and external agency Our Watch -- an organisation established to drive nationwide change in the culture, behaviours and power imbalances that lead to violence against women and their children. While the results of the surveys are confidential, the precise reasons for Stajcic's release remain equally opaque. Players were called into a workshop at a hotel in Coogee, Sydney, after the weekend's announcement where talks were held with management and group discussions were allegedly undertaken so players could share their feelings. At least one senior player spent considerable time outside the room on her phone. 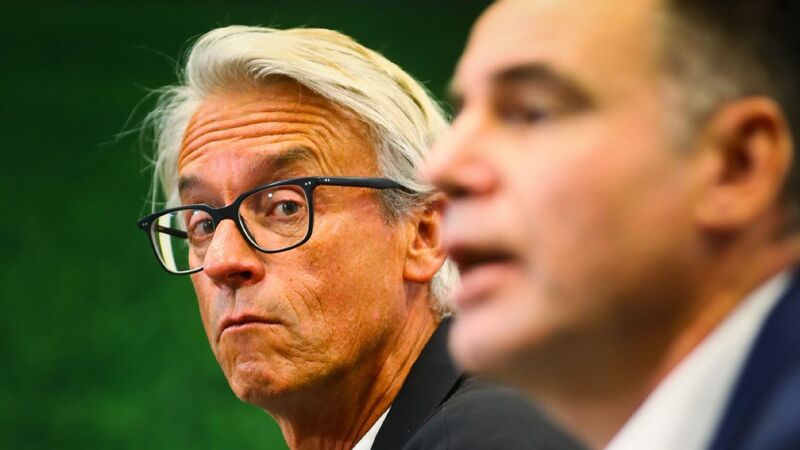 The day concluded with a startlingly brief press conference by Football Federation Australia CEO David Gallop who attempted to end proceedings with a hasty "We done?" and the gathered media were left none the wiser. Does anyone else feel like the group discussions might have been better placed before the weekend's announcement? 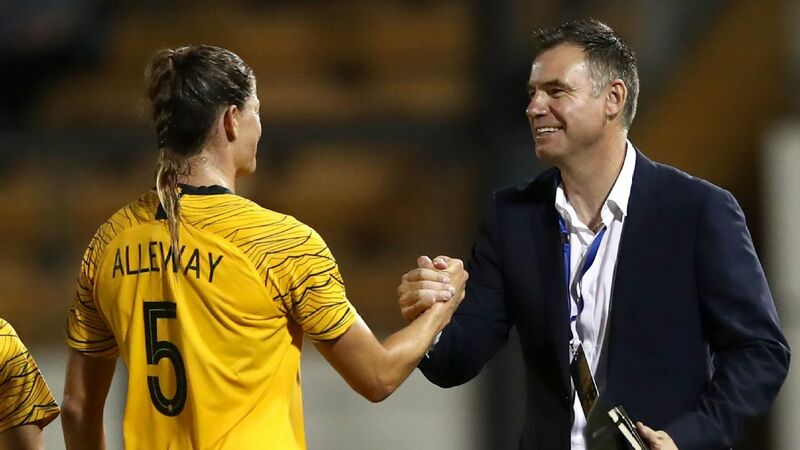 Let's cast our minds back to May 2016 when Gallop said: "Alen has done a remarkable job in achieving results with the Matildas but his work on the team culture and player development has been equally significant." The statement of support came as he announced the decision to offer Stajcic a four-year contract through to the Olympic Games in 2020. Something serious must have occurred to change his mind and the FFA are doing nobody any favours by keeping it under wraps. Violence against women, sexism, anti-gay sentiment and bullying have no place in our world, but surely if something like this has occurred then lancing the boil is the quickest way to recovery and healing. On the flipside, Stajcic's reputation is at stake here, if there is a charge to answer the FFA must put it in the public domain, otherwise let him gracefully withdraw and seek his next opportunity. Saying nothing does no one justice and keeps football fans from focussing on the best thing in Australian football -- the Matildas.